Once you arrive on Singapore, you can get to the city either by Bus, MRT (trains) or Taxi. The cheapest method to get into the city is through Trains, and you can find a station located in Terminal 2. Public transport (MRT and buses) in Singapore is excellent. It should probably be your first choice if you're going around Singapore. Singapore's public transport system runs on a reloadable contactless card called EZ-Link. You can get an EZ-link card either from transit-link office in Changi Airport, or from convenience stores like 7-Eleven. Singapore also has 1,2 and 3 day unlimited "Tourists passes". 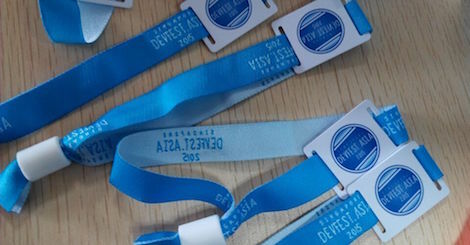 There's no need to buy these passes unless you plan on making more than four trips a day. Google Maps (both iOS and Android) — Tells you which bus or MRT to take to your destination. SG Buses (both iOS and Android) — Tells you how long you have to wait before you next bus arrives. Taxis are great for going around Singapore if you have some spare cash. They're generally pricier compared to public transport, but can get you where you want to go quickly. Note: Taxis are pricier during peak hours. It can also be difficult to grab a taxi on rainy days. Changi Airport has free WIFI. Use it! Singapore also has a wireless network called [email protected] that allows you to enjoy free WIFI all around Singapore. It requires you to have a local mobile number. You can sign up here. Otherwise, you can hang around at any McDonalds or Starbucks outlet to get your free WIFI. Here are some cafés with free WIFI if you're a café goer. 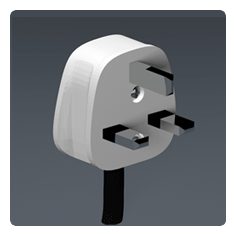 Singapore uses the British three-prong plug (Type G, BS 1363 UK, 230-240V). Take note we're using 230V here. That's it! Enjoy your trip around Singapore! Now, go find yourself a good accommodation! If you want to know more about Singapore, you can take a look at this handy guide made by the Ruby community in Singapore.